There are not many decisions to make in a game or blackjack, however, the ones you do act upon can be helped by paying a lot of attention to the dealer’s upcard. This piece of information often goes unnoticed by a lot of players as they fail to understand the significance. This is generally common amongst beginners who are still learning about the game. Unfortunately there is nothing you can do in blackjack to ensure the cards are drawn favourably from the pack when you take a hit. 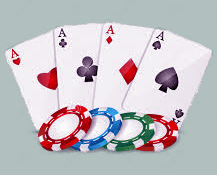 However, this gamble should follow a thought process which takes into account the value of the dealer’s card. When processing the card on the table, you need to try and put it into a high or low category. Sevens and above are generally considered as being high, while sixes and below are low. With high upcards, you should be more inclined to take a gamble by trying to get as close to 21 as possible without being careless. This may mean hitting on 15 when you would normally stand. The reason for this is that the dealer is just a 10 or picture card away from having a solid total. Sticking on a middle amount is unlikely to be enough to win the pot. In contrast, the dealer is vulnerable when they have a six or below as their revealed card. A 10 at this stage would put them below 17 which increases their chance of busting as they have to take a further card from the pack. It is certainly not worth taking a risk in this situation as a lower total than usual could be enough to take the prize. If the dealer does happen to generate a winning, you have to accept you lost, despite making the right decision at the time.